Tell most people there’s a new kind of photo film and they’ll think you’re crazy. But there have been a number of new film types over the last year or two – some reboots by companies like Kodak, new film types by existing film companies – even companies entering the film market altogether! Silberra is a young photographic supply company in Russia and the latest to enter the fray. I first heard about their Indiegogo campaign, followed by a fascinating Sunny16 podcast with one of their co-founders. You can also get a rundown on what they’re doing on Emulsive. The more you read about them, the more you realize just how challenging it can be to start an entirely new film line – their dedication in the face of challenges and setbacks is simply amazing. 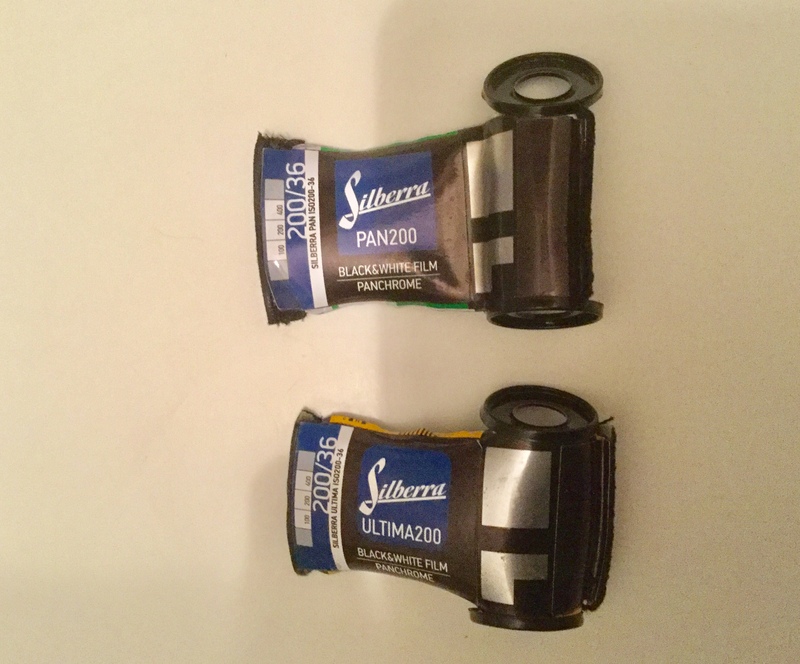 In any case, I signed up for a couple of their film samples via their crowdfunding campaign and have thus far received a roll of PAN200 and a roll of Ultima PAN200, which I tested. I think I’m supposed to eventually get a couple of their other film types, but to be honest, I’ve forgotten. I shot both rolls on my Nikon F100, but I had trouble with the roll of PAN200. I was able to snap two photos and then the camera rewound the film as if it had reached the end of the roll. It has never done this before, but it’s a recent acquisition (replacing an older one that broke), so I’m not necessarily blaming the film. But it was a bummer, considering I only had one roll to experiment with. Then when it came time to develop I realized I had another problem. The film is so new that the Massive Development Chart (and the company website) only list development times for a few (relatively) developers. Given that I live in Madagascar, the developer I have is the developer I have. So by comparing to other films and developing times, I extrapolated and came up with 7:45 using HC100 (B) at 22C. As I spooled the film onto the reel, the Ultima seemed much thinner and flimsier than any other film I’ve ever dealt with. This made spooling the film more difficult, and as I would only realize later that I had misrouted the film a couple of times, causing me to ruin 4 or 5 photos on the roll. As it turns out, the Ultima is 0.06mm thick, versus the PAN200, which is 0.1mm thick (and felt like “normal” film). Something to be aware of. Despite the challenges, the photos I got turned out great – a nice amount of grain, dark blacks and a full range of grays. They’re generally comparable to other samples I’ve seen of this film, so for HC110, I’d say 7:45 is about right. At 22C however, so adjust accordingly. I won’t hide that in the photo above (and some of the others) I accidentally had the camera set on aperture priority, with an aperture of f/1.8. The photo above is an ocean pier in Mahajanga, Madagascar, with a sign prohibiting entry. And then some of the best examples from the Ultima 200 roll. The first is my favorite – a herd of goats in the streets of Mahajanga, Madagascar. The remaining photos are taken in Mahajanga, Madagascar. In the first photo, those are in fact rickshaws. The streets are full of them. I think the photo below is a bit dark. I wish the lady in the vehicle had showed up a bit better. If you’re interested in seeing the rest of the roll (there are a few more) or (eventually) other photos I’ll be taking with Silberra film (yes, I plan to buy more), you can check out this album on Flickr. Also, here’s another review of Silberra film, with similar results. This entry was posted in film processing, Film tests, Photography, general and tagged black and white, film, Indiegogo, new film, Pan200, Photography, Russia, silberra. Bookmark the permalink. Your posts about film photography makes me want to take photography courses again. Oh and my fave shot this time is the gentleman in Comoros (the mirror at the bottom left looks like it’s part of the scene!). Thank you for sharing! Those a wonderful pictures – and the film looks to be very credible! I was surprised that one turned out as nicely as it did, considering.. These are nice. Good midtones and sharpness. Thanks. Seems like a good film! Just need to learn how to spool it right.